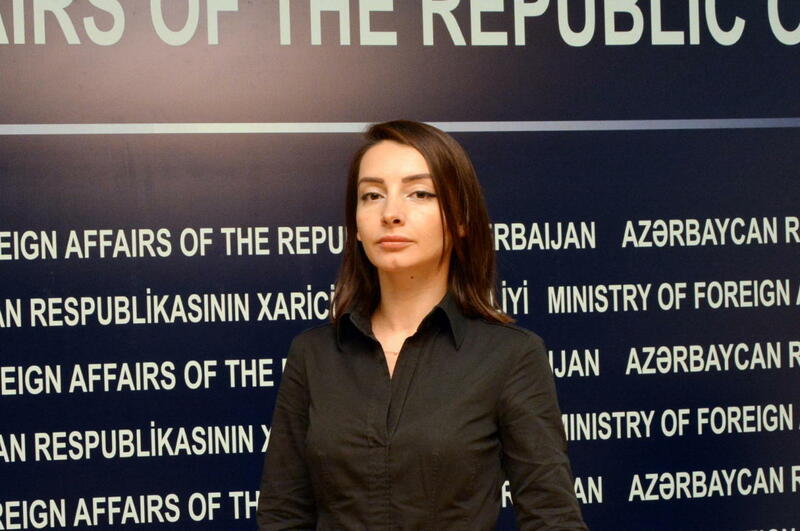 The cornerstone of the negotiations on the settlement of the Armenia-Azerbaijan Nagorno-Karabakh conflict is the withdrawal of the Armenian armed forces from the occupied Azerbaijani territories, spokesperson for the Azerbaijani Foreign Ministry Leyla Abdullayeva told Trend. Abdullayeva was commenting on Armenian Prime Minister Nikol Pashinyan’s statement that "we will not discuss peace in exchange for the return of territories in the Nagorno-Karabakh issue." "It is difficult to understand Pashinyan’s logic because the cornerstone of the negotiations on the settlement of the Nagorno-Karabakh conflict being conducted under the auspices of the OSCE Minsk Group co-chairs is the withdrawal of the Armenian armed forces from the occupied Azerbaijani territories,” she added. “Four well-known resolutions of the UN Security Council and almost all the documents adopted by international organizations regarding the settlement of the conflict envisage that,” she said. “In this regard, a question arises: should this position of Pashinyan be regarded as his refusal to negotiate?"